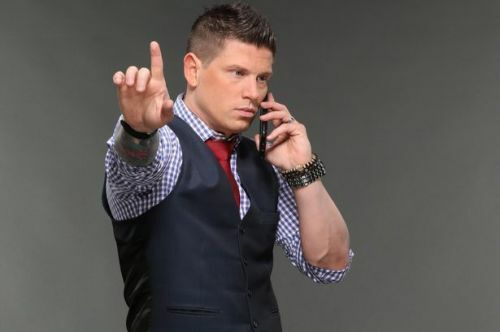 Interview: Josh Mathews talks Jeremy Borash's departure, Konnan talks nWo & more! Josh Mathews seemed unperturbed by Jeremy Borash's departure! Josh Mathews, Konnan, and Sami Callihan were the featured guests on this week's Impact Wrestling teleconference. With a mass exodus of talent from Impact Wrestling to WWE, these three men are determined to hold the fort for Impact, over the months that follow. I asked a question each to Mathews and Konnan. Here is a glimpse of the conversation that took place. How important was Jeremy Borash to Impact Wrestling? At what point did you find out that he would no longer be continuing with the promotion anymore, because he did announce the first episode from the Orlando tapings, but not the second one?! Josh Mathews: I saw somewhere online that we re-voiced stuff that JB and I had already done which wasn't true. Our next VO session when we found out that Jeremy was leaving the company was like two days later. Three or four days later actually. We had time to come up with a different game plan with what the right decision was going to be. There were a lot of different opinions and a lot of different thoughts. And I think that the final decision was the best one they could have made. Sonjay came here and did great, and now we have that situation in place. How important was Jeremy? I mean important, sure. I think that (laughs) everything is moving at the speed at which it was moving before Jeremy said he was leaving. That's the best I can put that. There was no hitch. There was no glitch. Everything's just smoothly running as it were if he were still here or not here. Konnan, twenty years ago, you joined the nWo. Do you have any memories of the event? Konnan: You know the only thing I remember is that they were the hottest thing in wrestling. And I was very honored that they picked me to be in there. The only thing is that at that time the nWo was so big, that they actually had an A-Team, a B-Team and a C-Team. So I wasn't really a part of nWo when it was at its zenith. But I was with the Wolfpac, you know. At that time, it was a big honor for me because you had Nash, Macho Man, Sting, and Luger, who were all bigger stars than me. So I got a big rub off that. Really helped catapult my career. 8 forgotten members of the nWo: Where Are They Now? The Four Horsemen vs. The NWO: Which was the better stable?